Tag Archive | "St. John Paul II Catholic Church"
The Springs Church will soon be joining the St. John Paul II Catholic Church to offer free meals for anyone who wants to join us. This will be a community event offered on Thursday nights at The Springs Church. In order to serve these friends we will need YOUR help. If you would be willing to be part of this amazing outreach, come to a meeting on Sunday, Sept. 30, 6:30 p.m. at The Springs Church, on the corner of Oak & Grant Streets. We would love to share how you can be part of reaching many with minimal commitment. Many hands make light work! This is a great opportunity to serve our community in an impactful way. 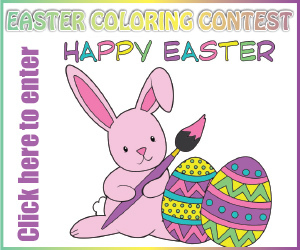 For more info, contact Cherryl at the Springs Church 616.696.2970. Dorothy A. Helsel age 87 of Cedar Springs died Saturday, April 28, 2018 at St. Anne’s Home, Grand Rapids. 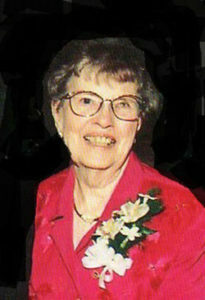 Mrs. Helsel was born August 26, 1930 in Grand Rapids, Michigan the daughter of Stanley and Francis (Blasczyzk) Jaskiewicz. She retired from General Motors Alpine Avenue plant. Dorothy loved and adored her grandchildren, enjoyed traveling, and spending time with close friends and family. She made rosaries and was very devoted to the rosary. Surviving are her daughters, Deb (Carl) Allen, Tena (Mike) Hoxsie; grandchildren, Mike (LesLee) Michalek, Joann (Matt) Johnson, John (Gwen) Michalek, Laura (Drew) Felsted, Kendall Hoxsie; great grandchildren, David, Jack, Mia, Lillie and Piper; brother, Ray (June) Jaskiewicz; nieces and nephews. She was preceded in death by her husband, John; daughter and son-in-law, Sandy (Mic) Michalek; grandson, Todd Allen. A special thank you to St. Anne’s Home for their wonderful love, care and support. 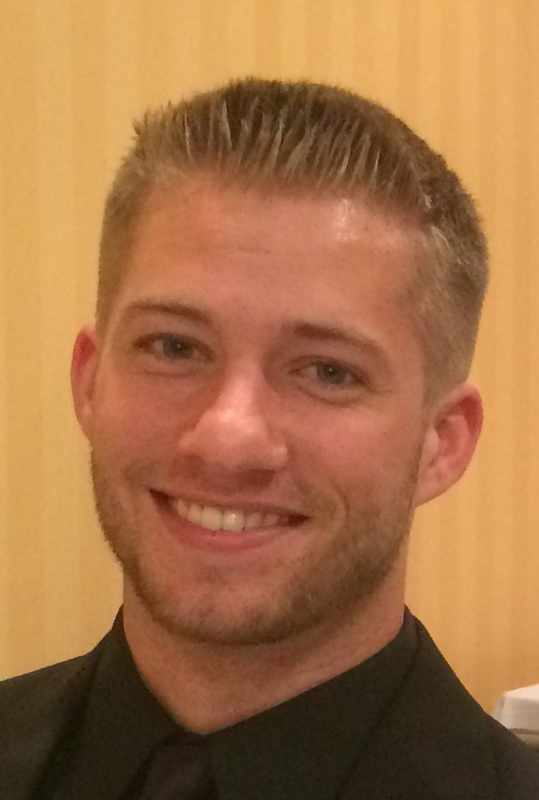 The family will greet friends Thursday from 2-4 and 6-8 p.m. at the Bliss-Witters & Pike Funeral Home, Cedar Springs where the Rosary will be prayed at 7:30 p.m. Mass of Christian Burial will be celebrated Friday 11:00 a.m. at St. John Paul II Catholic Church, Cedar Springs. Rev. Fr. Lam Le celebrant. Interment Resurrection Cemetery, Grand Rapids. Memorial contributions may be made to St. John Paul II or St. Anne’s Home. Evelyn M. Bliss 97 of Cedar Springs died Monday, February 12, 2018 at Bishop Hills, Rockford. Mrs. Bliss was born August 31, 1920 in Detroit, Michigan the daughter of John Jay and Mary Ellen (O’Leary) Seeley. She along with her husband, Tom owned and operated the Bliss Funeral Home from 1954 – 1981. She was a member of St. John Paul II Catholic Church in Cedar Springs. 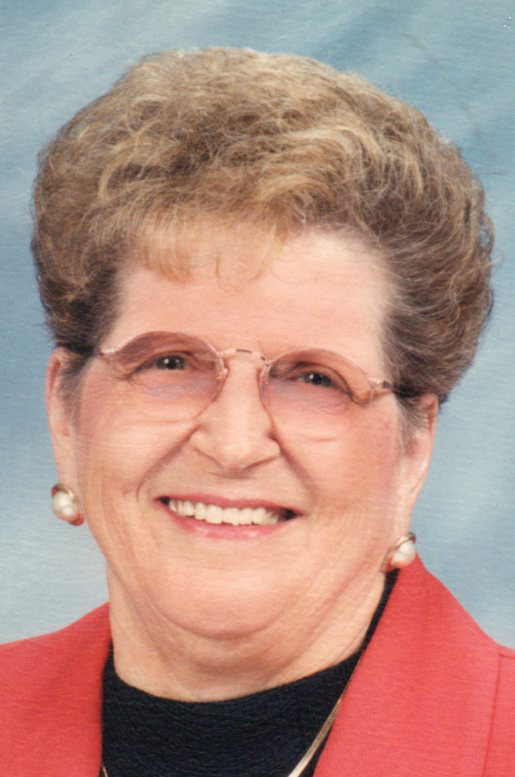 She stayed very involved in her church and the Cedar Springs community throughout the years. Surviving are her daughters, MaryAnn (Ted) DeVries of Plainwell, Peggy Helsel of Rockford; grandchildren, Brenna Willis, Eric (Jessica) DeVries; beloved great-granddaughters, Hannah and Delilah Willis; unofficial third daughter, Joan Walsh Duffy; nieces, nephews and many dear friends. She was preceded in death by her husband, Thomas in 2010; son, Patrick in 2015; and brother Floyd “Bud” Seeley. The family will receive friends Thursday from 2-4 and 6-8 p.m. at the Bliss-Witters & Pike Funeral Home, Cedar Springs where a Scripture Service will be held at 7:30 p.m. Mass of Christian Burial will be celebrated Friday 11:00 a.m. at St. John Paul II Catholic Church, Cedar Springs. Rev. Fr. Lam Le presiding. Interment St. Mary’s Cemetery, Sand Lake in the spring. Memorial contributions may be made to the Cedar Springs Public Library, Hospice of Michigan or the charity of donor’s choice. Members of the Women’s Club and Rotarians helping out with a meal at St. John Paul II Catholic Church. Courtesy photo. 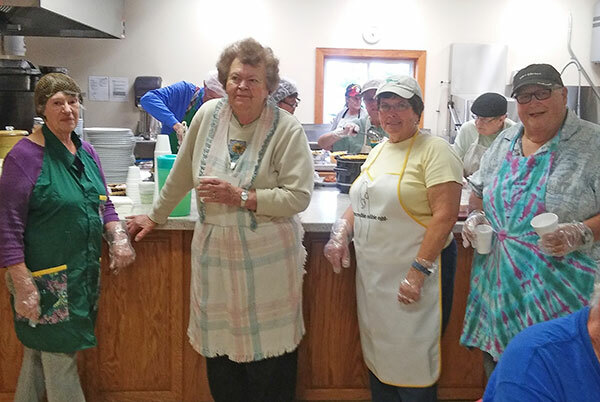 Several members of the Cedar Springs Women’s Club recently teamed up with the Cedar Springs Rotarians in providing one of the weekly community meals. These meals are served at St. John Paul II Catholic Church located just west of Meijer on 17 Mile Road in Cedar Springs. Each Tuesday at 5:00 p.m. the doors are opened by the church for all community members of all ages who want to enjoy a free hearty meal and fellowship. The menu varies each week and is provided by parishioners along with other area churches, youth, and community groups such as the Rotary and Women’s Club. This week’s group served appetizers of fresh vegetables with cheese and crackers and then lasagna, corn, coleslaw, potato salad, rolls, and dessert. All are welcome at these weekly dinners! Carl R. Straub, 72, of Cedar Springs, died Tuesday, May 17, 2016 at his home. Carl was born April 28, 1944 in Granada, Mississippi, the son of Herman and Marjorie (Egner) Straub. He graduated from Union High School in 1962. He then joined the Air Force serving from 1963-69. 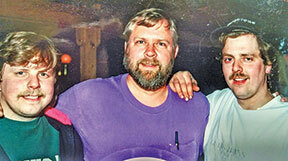 He settled in Cedar Springs in 1977 near the Egner Family Farm. Carl was a simple, stubborn man. He enjoyed his cars, guns, Gunsmoke reruns and spending time with his grandkids. He was one of a kind! Surviving are his wife, Marjorie (Race) whom he married on Feb. 27, 1965; sons, Carl Straub & Brynadette Powell, Richard & Carolyn Straub; grandchildren, Adrianna, Brooklyn, Caroline and Blake; brothers, William & Lenora Nawara, John Nawara; sister, JoAnne & Brian Ellis; brothers-in-law, Gordon & Shirley Race, Kenneth & Yvonne Race; several nieces and nephews. He was preceded in death by his parents. 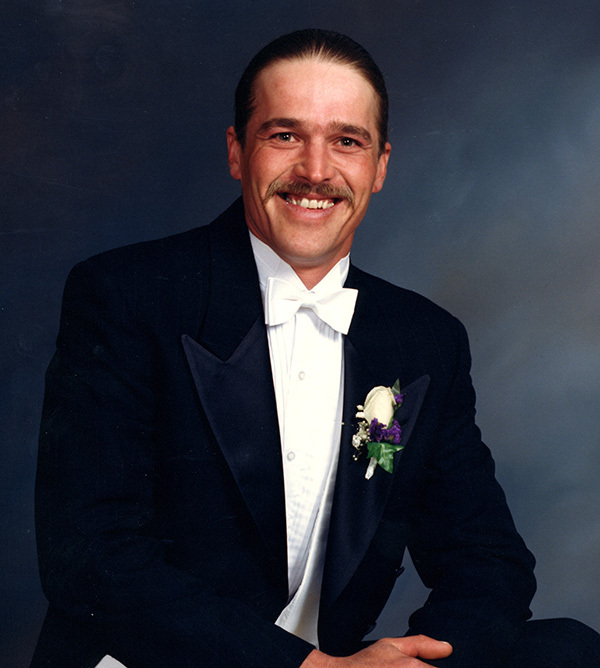 The family will greet friends Wednesday from 6-8 pm at the Bliss-Witters & Pike Funeral Home, Cedar Springs. Mass of Christian Burial will be Thursday 11:00 am at St. John Paul II Catholic Church, Cedar Springs. Rev. Fr. Lam Le celebrant. Private interment Elmwood Cemetery, Cedar Springs.